“Sanctions are coming / November 5th” reads the foreboding meme Donald Trump published earlier this week on Twitter. The picture used the trademark font and slogan of the Game of Thrones franchise to evoke support for the re-instatement of sanctions on Iran. Trump, as the graphic suggests, represents the honor-bound protagonist defending humanity against the greater ‘evil’: allegedly Iran. But what is hidden from this arrogant threat is the fact that it is U.S. imperialism which poses the threat of omnicide to the world. It is the U.S. that recently withdrew from the nuclear disarmament INF treaty, signaling to the world its re-commitment to a nuclear arms race. It is the U.S. that is the largest polluter in the world. And it is the U.S. that funnels upwards of $1 trillion every year into war, munitions and destruction. Economic sanctions are but one weapon that Washington uses to overthrow governments independent of the U.S. capitalist class. Sanctions mean that medicine becomes scarce and preventable diseases increase, food shortages become more common and prices for consumer goods skyrocket. A country banned from the international banking system is not able to properly provide jobs for its people, nor can it fully manage wild inflation and currency devaluation. Countries targeted by U.S. imperialism are not able to fully develop their economies and societies, and instead must work out ways to manage and cope with these attacks. The fact that so many countries are able to still develop when faced with the burden of sanctions is testament to their creativity and resilience. 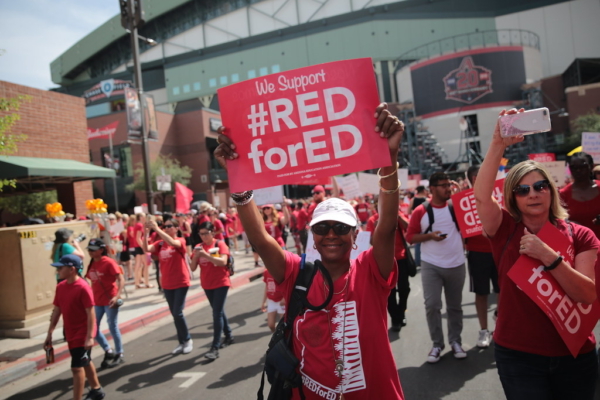 The thinking for the ruling class goes that as a people’s daily life grows unbearably difficult, civil unrest will develop and the economy will collapse; providing an opening for a U.S.-backed figure to emerge and take power. The 1973 U.S. coup d’état overthrowing the socialist government of Chile was preceded by 2 years of sanctions to “make the economy scream” in Nixon’s words. Military dictator Pinochet ushered in decades of terror and death for the people of Chile, and mass privatization and big business for U.S. capitalists. Thirty years later, the 2003 invasion of Iraq would not have been possible had the country not already been decimated by more than a decade of genocidal sanctions that killed upwards of 1 million Iraqis, mostly children. Prior to the sanctions, the U.S. bombed the civilian infrastructure of Iraq, rendering the country unable to mitigate the economic strangulation. Thousands of Iraqis died every day on account of lack of access to food, medicine and sanitation. With a population of 81 million, the Middle Eastern country has a diversified economy and is geographically the strategic connector between the Asian continent and the Middle East (also known as West Asia). 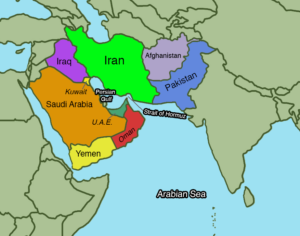 In addition to one of the highest levels of known oil reserves in the world, Iran controls the Strait of Hormuz, the gateway to the oilfields of the Persian Gulf and a potential choke point for the oil tankers of Saudi Arabia and other Gulf states, which are arch-reactionary monarchies, U.S. clients and sworn enemies of Iran. Iran is located at the crossroads of Asia and the Middle East. Liberation graphic. For U.S. imperialism, the dismantling of the Islamic Republic has been a priority since the Islamic Revolution that toppled the U.S.-backed dictator, Mohammad Reza Shah Pahlavi. In fact, the sanctions were timed to coincide with the storming of the U.S. embassy in Tehran by students on Nov 4, 1979, where 60 Americans were held hostage in great embarrassment to the U.S.
Factions within the ruling class represented by the two dominant political parties approach sanctions and war differently, but ultimately work to achieve similar ends: subjugation of the other country. Oil is just one component of the sanctions that targets every facet of life in Iran. Iran produces 3.8 million barrels of oil per day (bpd), and exported roughly 2/3 of the total before the sanctions were announced. When the Obama administration imposed sanctions on Iran in 2012, it was willing to tolerate the Islamic Republic being able to export about 1.5 million bpd, but Iran’s economy still entered a deep recession. 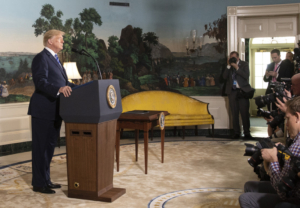 Tehran wanted to find a way to end the sanctions, and the signing of the 2015 Joint Comprehensive Plan of Action (also known as the “Iran Nuclear Deal”) was a diplomatic victory where the U.S. was forced to acknowledge that Iran could not be eliminated. But this should not take away from the magnitude of sanctions. This reality –– deep recession if Iran did not reach a deal –– is a far cry from claims of the treaty as being “soft”, and highlights the difference in tactics taken by Democrats and Republicans. The Obama faction prefers an imperialism with a refined vocabulary and human mask, while the Trump wing represents a heavier dose of naked imperialist aggression and military escalation with seemingly no limit. The USS Essex, which holds 2,000 soldiers, is one of many U.S. warships in the Persian Gulf. Source: US Navy, public domain image. Iran’s oil-rich regions are located in the south-west of the country, near its border with Kuwait and Iraq. Oil exports from Iran must travel through the Persian Gulf and the Strait of Hormuz. 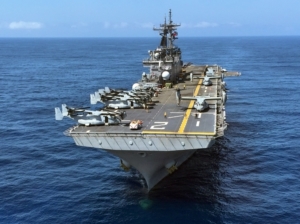 Washington has girded its military for confrontation with Iran through strategic positioning of its aircraft carriers. War criminal and former Secretary of State Henry Kissinger euphemistically described these warships as “100,000 tons of diplomacy”. Of the 41 active aircraft carriers in the world, the United States controls 20 outright. Another 13 are operated by U.S. junior partners and client states: the UK, Japan, France, Australia and South Korea. Notably, Iran does not have any aircraft carriers. Today, U.S. warships as part of the Essex Amphibious Ready Group are positioned just off the coast of Iran in the Persian Gulf. 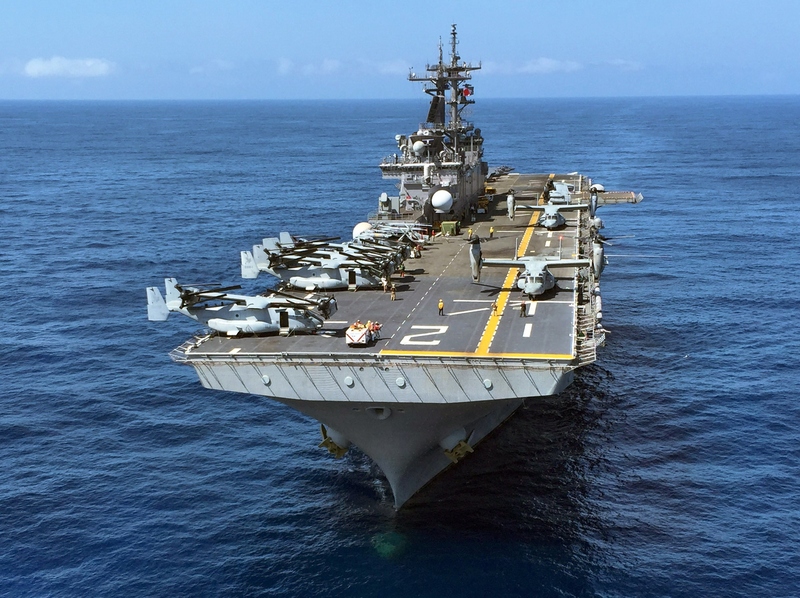 Contained within this unit is the USS Essex, an amphibious assault ship designed to transport 2,000 soldiers into a war zone by helicopter. Essex also serves to “project power”, a military term that means to threaten. And “project power” Essex does. In 1997, this was the ship that enforced the Clinton-imposed No Fly Zone over southern Iraq, bombing any Iraqi planes that flew in their own country. Seven years later, Essex transported thousands of U.S. Marines to invade Iraq in the Battle of Fallujah, one of the bloodiest massacres of the war that saw thousands of Iraqis killed. Children born in Fallujah today have a 33 percent chance of being born with a life-crippling birth defect or being stillborn, thanks to the depleted uranium the U.S. unleashed on the city. More recently, Essex launched the first ever F-35B airstrike of Afghanistan from its ship in September 2018. Another member of the Amphibious Ready Group is the warship USS Rushmore. Built in 1985 for the equivalent of $350 million today, Rushmore transported U.S. soldiers to Iraq in the first wave of invasion in 2003. Interestingly, this ship was sponsored by media pundit Tom Brokaw’s wife, highlighting the neat integration between capitalist media and imperialist war. Yet despite the real threat of military invasion, Iran has emerged from the rounds of sanctions in a relatively strong position. Oil imports are not necessarily easy to replace. For reasons political and geostrategic, not every country fell in line with U.S. dictates. China and India are two notable countries that refused to halt their imports of Iranian crude, and now the U.S. has been forced to make concessions for 8 countries –– all major importers from Iran. Current Secretary of State and former CIA director Mike Pompeo has stated that their goal is to “change [Iran’s] behavior” (i.e., open its markets to foreign capital) or else “see its economy crumble.” Treasury Secretary and former Goldman Sachs executive Steven Mnuchin penned an op-ed in the Financial Times heralding the sanctions as “push[ing] Iran towards a better nuclear deal.” “These powerful sanctions are designed to cut off all sources of revenue” to the Iranian state, writes Mnuchin. “The US will lead a maximum-pressure campaign to stop global funds” until Iran ceases to be a threat to U.S. hegemony in the region. 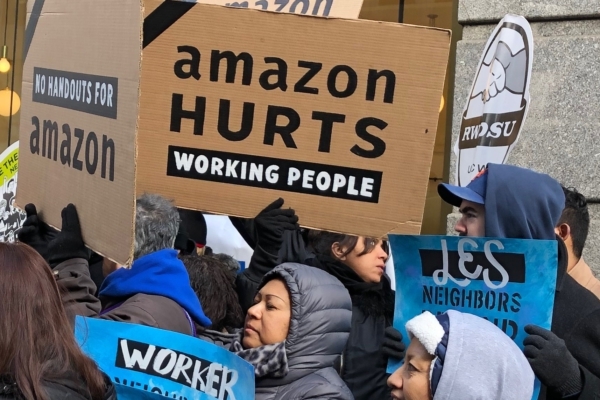 Whether U.S. imperialism presents a human mask or an iron fist, its permanent interests remain focused on ensuring the enrichment of the billionaire ruling class at the expense of the vast majority of humanity. War with Iran is not in the interest of working people. War with Iran is not in the interest of the environment. War with Iran would represent carnage on a mass, genocidal scale, and in fact it is precisely war with Iran that the U.S. is threatening. History shows that U.S. sanctions are often precursors to invasions and occupations. But even if that were not to happen in the case of Iran, sanctions are a form of war. They cost lives and plunge people into destitution. And that is the intent of the U.S. sanctions on Iran, and why we must fight against the sanctions and increasing aggression against Iran. U.S. Hands Off Iran! End the Sanctions! Mazda Majidi contributed to this article.